The JCB 531-70 Agri Loadall is the smallest of our full-sized telescopic handler machines. It’s a hugely efficient EcoMAX-powered Loadall sitting on a chassis that’s designed for load-bearing and stability. The side-mounted JCB engine combines with JCB axles and transmission to ensure a reliable drivetrain performance from well-proven telescopic handler components. This telescopic handler also has instant steering selection between three modes for easy operation, single-lever servo controls, a tight turn radius and great manoeuvrability. • The listed MRRP is JCB’s non-binding recommended retail price for a JCB product at the stated specification. • JCB sells its products through a network of independent authorised dealers and therefore the MRRP is not the selling price of a JCB product. • JCB dealers are free to sell products at any price they wish which may be higher or lower than the MRRP and the MRRP is only a non-binding recommendation to JCB dealers. • If you wish to obtain a quotation for a JCB product from a JCB dealer then please use the quotation tool in this website or contact a JCB dealer directly. JCB Finance Ltd is our preferred supplier of finance facilities. 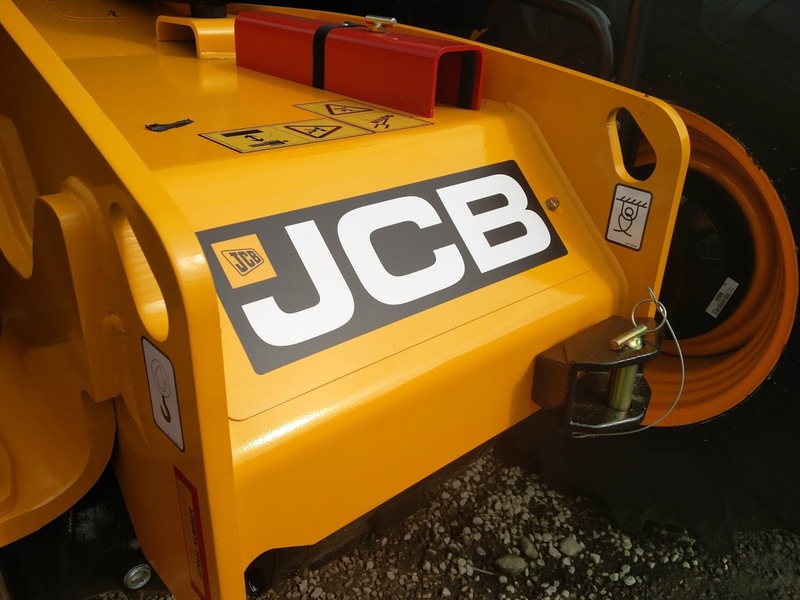 Offers restricted to business users in mainland Great Britain and Northern Ireland, available from participating JCB dealers, subject to formal underwriting and there being no change in the factors affecting JCB Finance Ltd. The weekly values used are for illustrative purposes only and are dependent on precise machine specification, hours and application and do not form an offer of facilities. JCB FlexiLease instalments are based on a 3+33 monthly payment profile and are subject to VAT at the prevailing rate. The illustration is based on the machine operating in a medium application for a maximum of 1500 hours per annum. Return conditions will apply. HP instalments are based on a fixed rate 0+36 monthly payment profile with a 10% deposit and the full VAT amount payable at time of signing. Both offers are subject to a Â£245 documentation fee payable with the first monthly payment. The HP offer is also subject to a Â£48 Option To Purchase Fee collected together with the final payment. JCB Finance Ltd. Registered in England No.972265. Registered Office: The Mill, High Street, Rocester, Staffordshire ST14 5JW. JCB Finance Ltd is authorised and regulated by the Financial Conduct Authority. For Insurance Mediation, JCB Finance Ltd is an appointed representative of The Royal Bank of Scotland plc, which is authorised by the Prudential Regulation Authority and regulated by the Financial Conduct Authority and the Prudential Regulation Authority. JCB Finance Ltd’s registered VAT number is GB 243 8527 52. The JCB 531-70 Agri telescopic handler is designed to be highly efficient. Its EcoMAX engine produces high power and torque at low revs. That means more work for less engine exertion, saving fuel. Productivity is also helped by the spacious, comfy cab. Easy maintenance and rugged components come as standard too, which maximises usage.